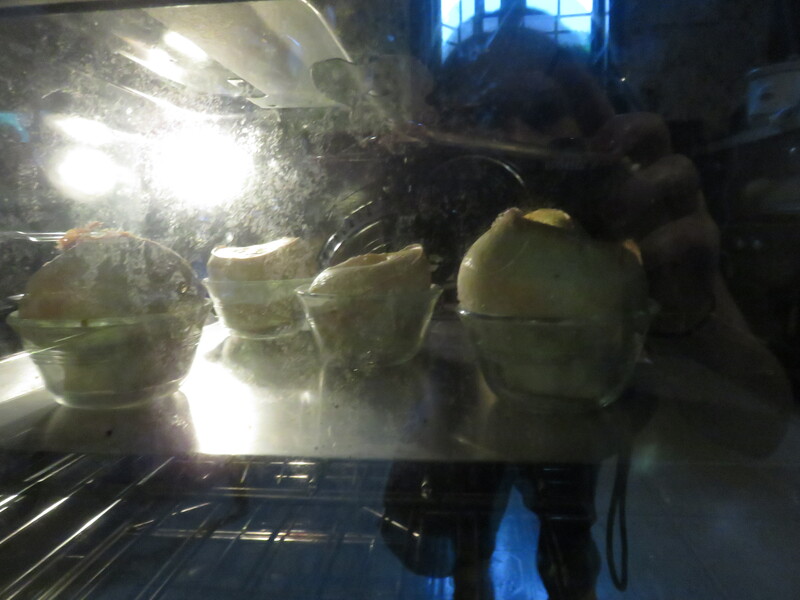 During Aunt Annie’s party during our 4th of July weekend, my mom mentioned that Aunt Annie would be making popovers on Sunday morning and that hers are the best. I almost let the team down and let my sleepiness get the better of me, but I made it and made several batches of popovers with Aunt Annie. 4) she taps the popovers before officially pulling them out of the oven to make sure they sound hollow and therefore aren’t too doughy. The results were wonderful! That third egg really made a difference! 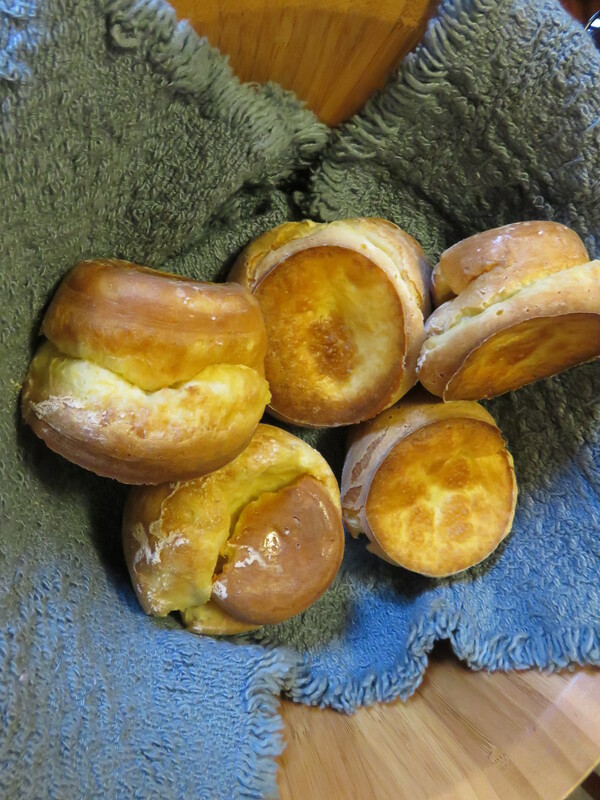 We let these popovers cook for 35 minutes, and Sean and I agreed they were great. We drove home on Sunday after this lesson and later that evening I got a call from Aunt Annie. She asked if our drive was fine but she really was calling because she wanted to make sure I knew 45 minutes probably would have been better. How cute is that? I don’t know if I’ve mentioned, but we moved a bit when I was a kid. 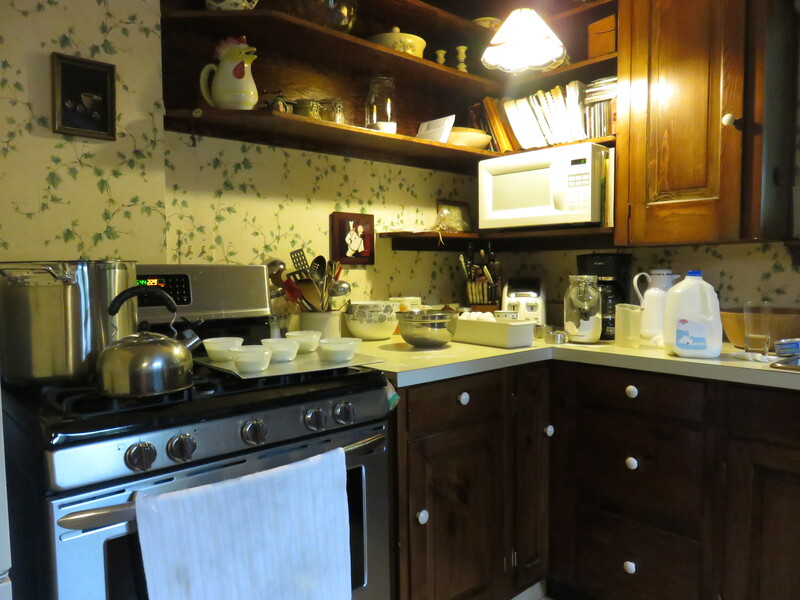 While I didn’t cook with Aunt Annie growing up, I spent a lot of time in this kitchen because we’d have our meals at the table in it. Aunt Annie and Uncle Mark have done a lot of work to their house, but, aside form the oven (I think), this kitchen has been the same as long as I can remember. So I love this kitchen. Maggie is currently avoiding dairy, and Maggie love, loves popovers. She made a batch with almond milk and it turned out perfect! So if you’re also avoiding dairy, fear not! You too can have popovers! Preheat oven to 400. 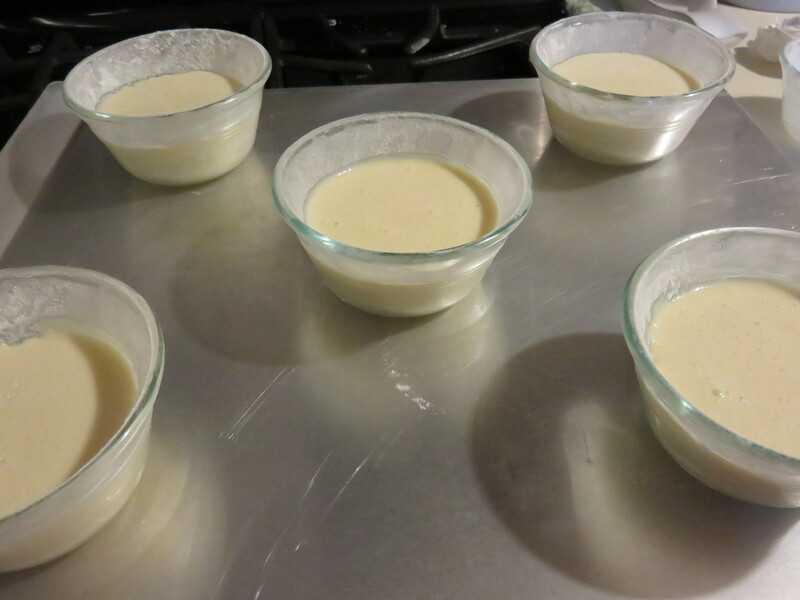 Mix all ingredients together and pour batter into very, very well greased custard cups or muffin tins. 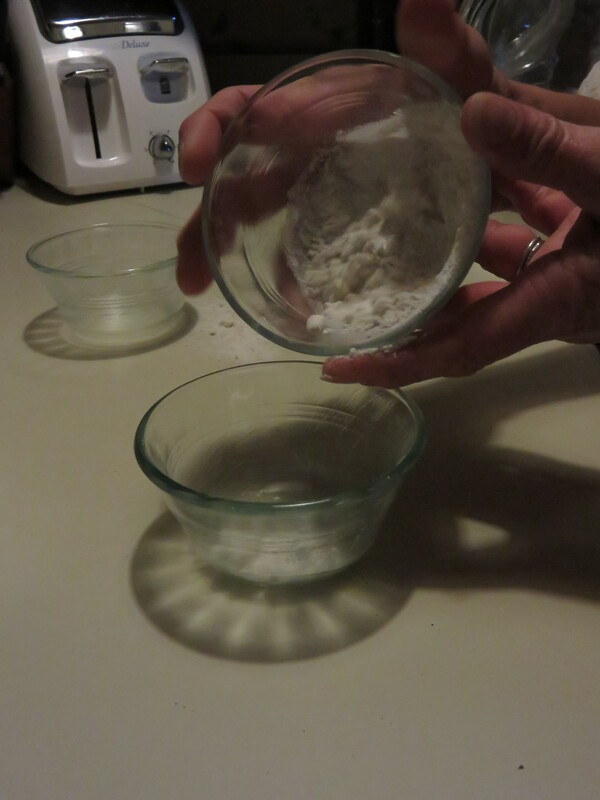 Aunt Annie does Crisco with flour. 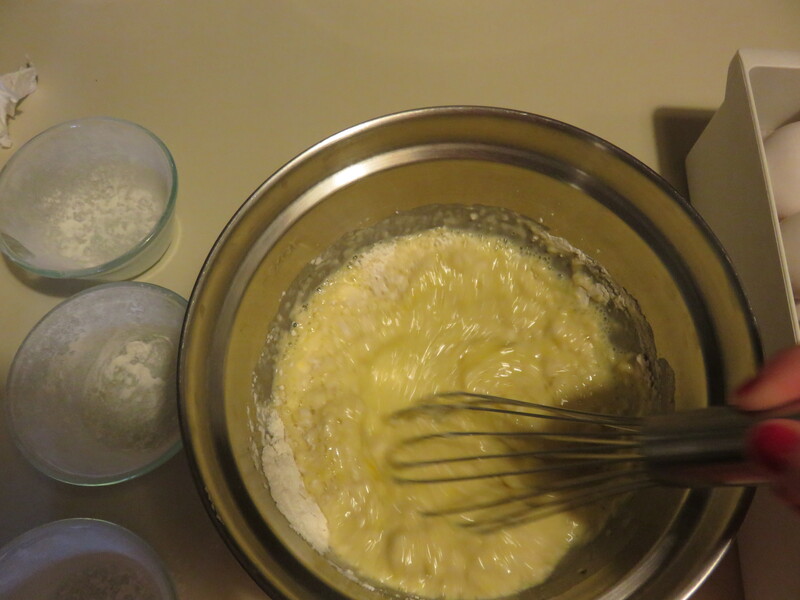 Bake for 45 minutes at 400 degrees, but check about about 35-40 minutes to see if the popovers sound hollow when tapped. When ready, serve hot. I have some experimenting to do myself now that I know I should have given these guys an extra 10 minutes! 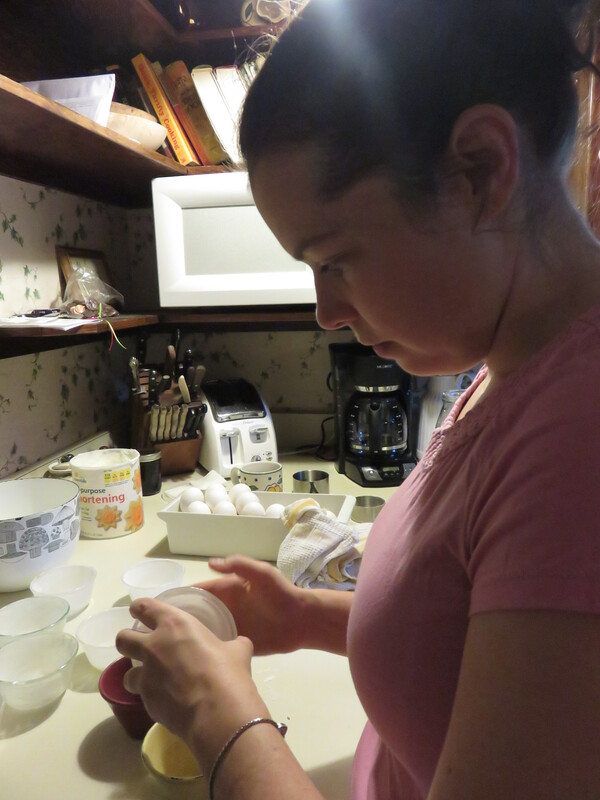 This entry was posted in celebrations, cooking, family by Sarah. Bookmark the permalink.